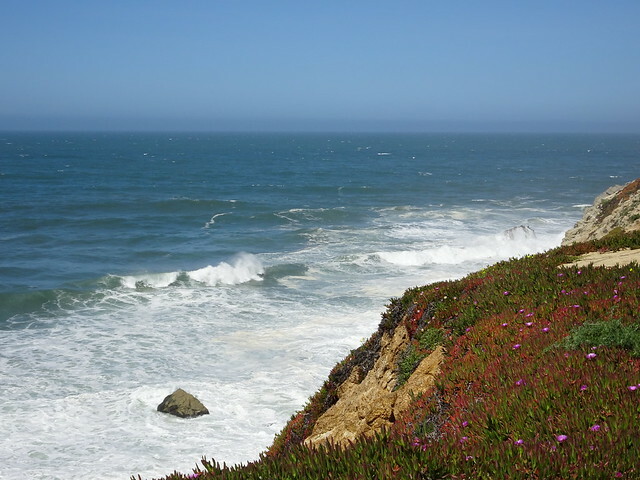 We travelled down the coast via Santa Cruz to Watsonville where my spouse has cousins. 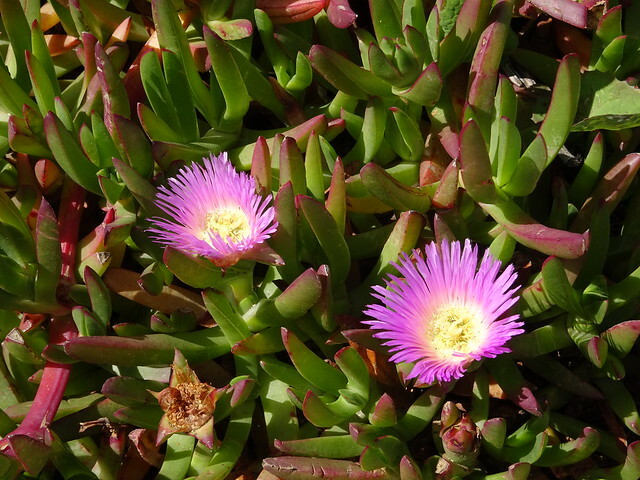 I loved these Aizoaceae (I had to look them up to find their name). They come in a variety of colours. 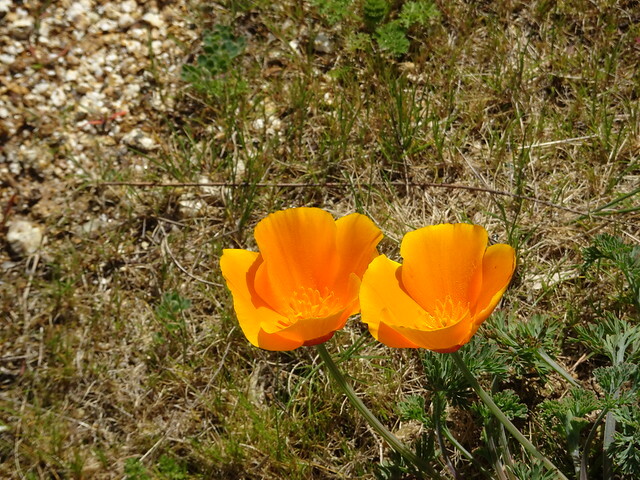 We caught our first view of California poppies. Wild flowers seemed to be everywhere - a colourful feast for my winter, colour-starved eyes! 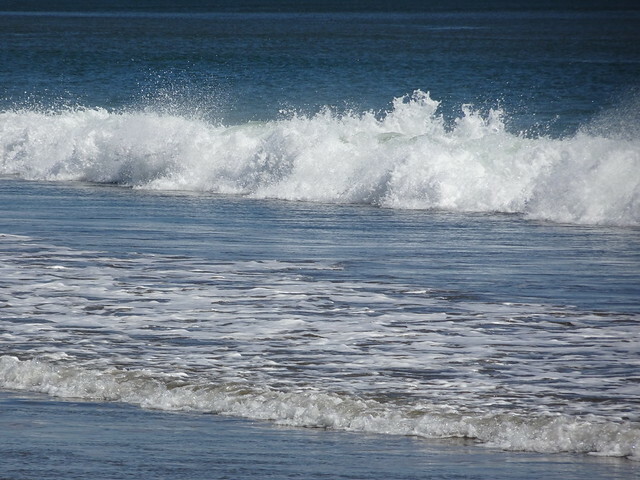 We stopped and walked along the beach in Santa Cruz, enjoying both the warmth of the sand and the coolness of the water near the shore. 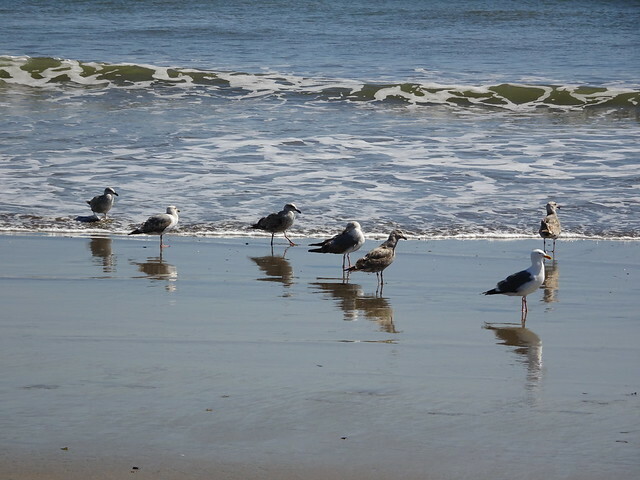 We weren't the only ones enjoying the water's edge. After a night in Watsonville we continued on our way. Unfortunately I had forgotten to put my card back in the camera after uploading photos to my iPad. 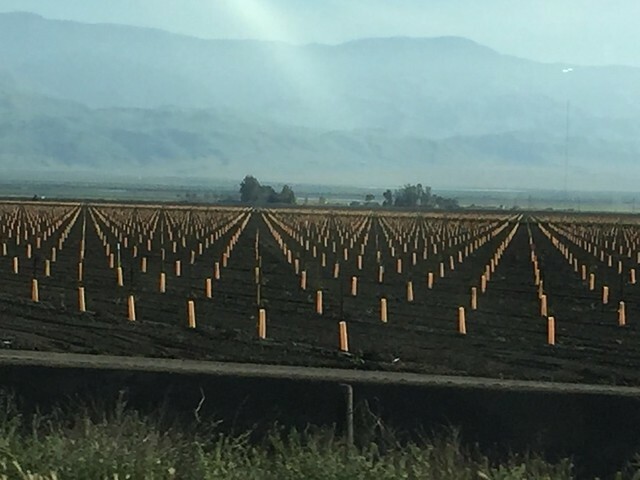 We passed through agricultural country - huge fields of raspberries, covered with partial greenhouses - probably to keep off the worst of the sun, or was it the cool nights? Past many vineyards and wineries. And fields of vegetables. 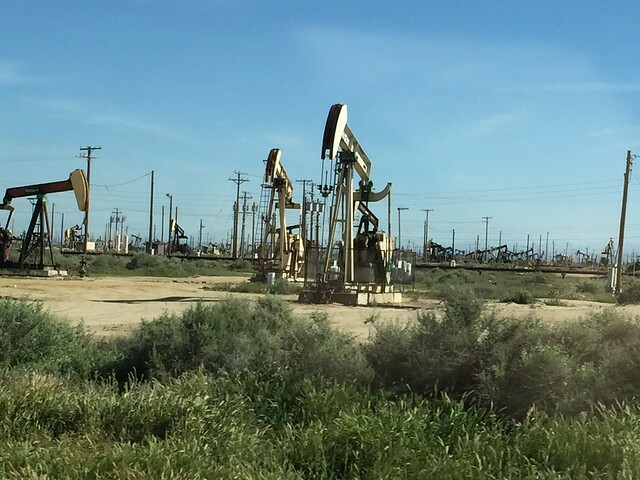 Not everything was beautiful - This area had oil derricks as far as the eye could see. Most of the production is big business with fields stretching wide and deep. 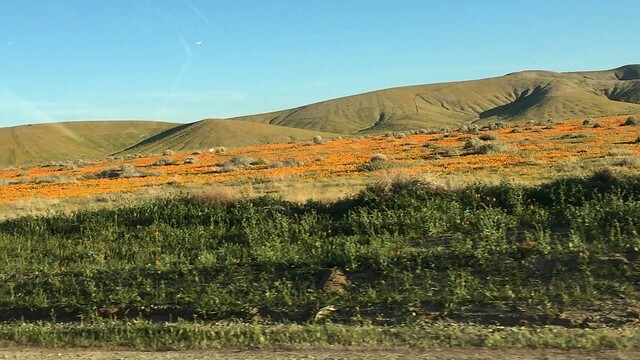 Near Lancaster the fields were bright orange - wild poppies in bloom. It was a long day of driving. As we neared Twentynine Palms we were rewarded by a night sky filled with stars. I can almost hear those birds chirping! Looks like you had a nice trip, Susan. 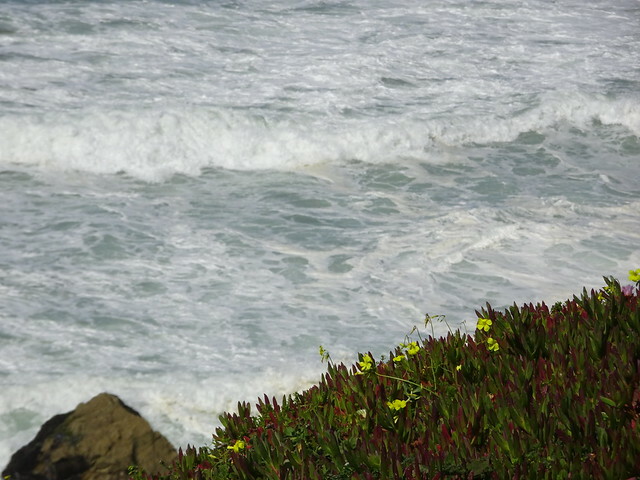 The sea including waves and winds and wild flowers are two of my favorite things. The mechanical-looking industrial landscape is interesting for photo shooting but I prefer sea-gulls and their reflections.